Kids like to have privacy and a place to call their own. Adding an extra bedroom or bathroom might feel like it is out of your budget though. Here are seven things to consider that can either help you create additional space in your existing house or make second story remodeling a little easier. First, go through your stuff. Anything that is unused can be donated, thrown away or stored in the attic. Freeing up space by removing excess items can help a room feel much larger. Second, determine what your needs truly are. If you only need another toilet, that is much easier to add on than a whole bathroom is. A contractor could easily turn a closet under the stairs into a small toilet room. Third, plan your budget. Home upgrades, including second story remodeling projects, tend to have unexpected expenses. Make some room in your budget to account for the unanticipated costs. Fourth, protect your belongings. As you begin construction, make sure you box up pictures and other possessions to prevent any damage to items that are irreplaceable. Fifth, consider removing walls. In some cases, removing a wall between two rooms to create a single, large room can have many benefits. A larger room can make it feel more open and resolve space issues. Sixth, build your additions up. If you do not have room on your property to expand horizontally, then you can consider adding an additional floor to your home. Seventh, use new materials. Using a variety of materials on the exterior of your home can make it unique. A mixture of brick and siding can be more affordable and create a cozy exterior. 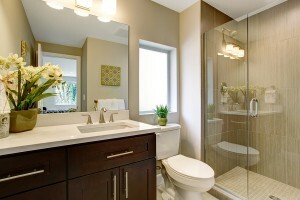 Creating more space in your home with an additional bedroom or bathroom does not need to be out of your budget. A contractor can give you more ideas on how to successfully achieve the space you need without breaking the bank during a second story remodeling project.